“We Are Ghosts” is an exhibition of images taken by Abertillery-born photographer and camera maker Dafydd Williams in the old Gwent Valleys. 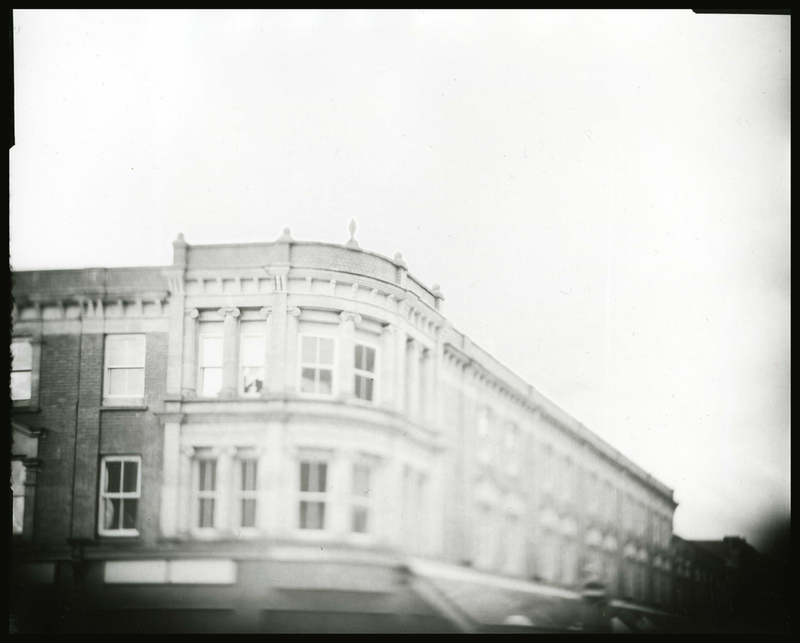 Using his homemade 8” x 10” large format camera and Harman Direct Positive Paper, Dafydd has photographed buildings from the late 19th and early 20th century that still survive in the area. Once grand and beautiful, the buildings were constructed in the times when the aesthetic, not utilitarianism was the principle in public space planning. Many of them were designed as miniature versions of buildings from Vienna, Paris or London. Many of these buildings are still there; some worse for wear, decaying and hidden behind the signs of modern society’s obsession with plastic, fluorescent colours and franchise signage. 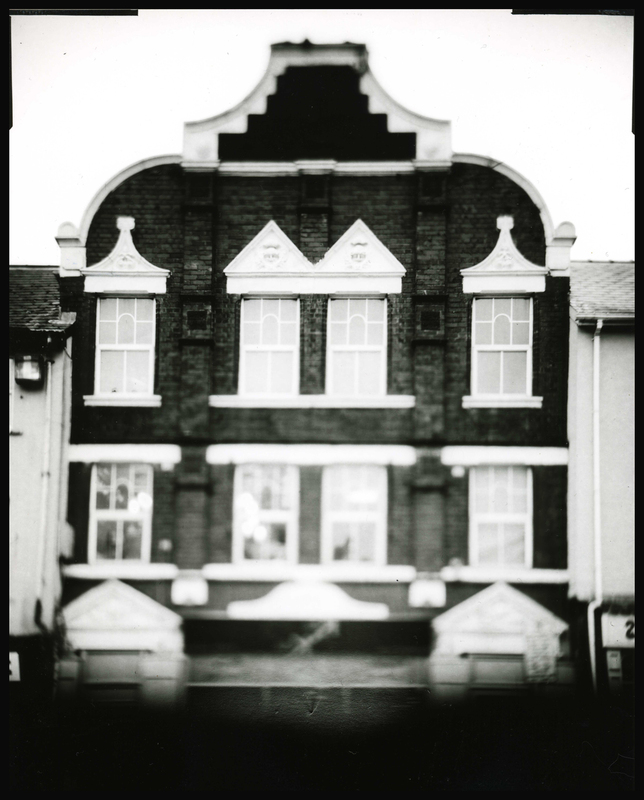 Dafydd’s goal is to remind us of the lost and unnoticed beauty by photographing the top halves of the buildings that still retain their grandeur; taking them out of their modern context can allow us to see and imagine them again as they were originally seen. The images attempt to reduce them to their shape and form, displaying them without the baggage associated with where they are, what they have become and how they represent the loss felt in the towns they came to stand in. The images will hopefully help catalogue an overlooked part of our Valleys’ heritage, creating a visual record of these buildings that are slowly disappearing from the towns due to a lack of funds for maintenance or awareness outside of the Valleys that they even exist. Each photograph in the exhibition is a unique image captured by Dafydd, developed and printed by hand without any manipulation or editing.